The Intel brand is synonymous with silicon and the microprocessors that act as the brains of personal computers. But its venture wing Intel Capital is also a mover and shaker in its own, more low-key way, boosting the rising Latin American scene where the VC has staked about $100m on Brazilian companies alone (16 of the 20 investments are Brazil-based). To hear more, I spoke by phone to Alexandre Arantes Villela, its Sao Paolo, Brazil-based director. 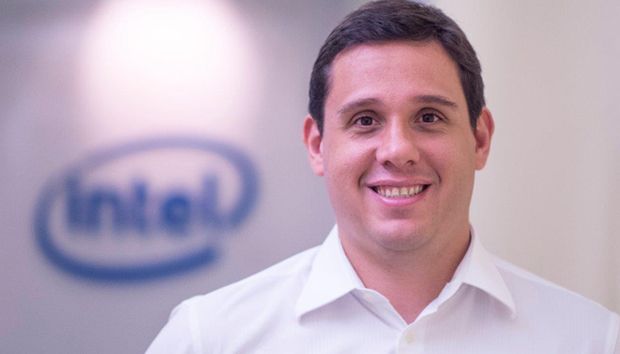 Villela joined Intel Capital in 2011 after a career in the tech/electronics sector and private equity with Brazilian outfit Stratus. However, Intel Capital goes back further in the region. The Sao Paolo office was set up in 1999 amid the first dotcom boom, making it “one of the traditional players in VC in Latin America”, as Villela points out. Intel Capital itself dates back to 1991. However, as befits an investor that is part of a technology infrastructure giant, the goal is more about extending the reach of technology than making money. Latin America is an interesting region in many ways from a startup perspective, thanks to the blend of languages, cultures, currencies and historical/empirical legacy. Firstly, there’s the question of whether to focus on Brazil, to rush to the largest developed markets beyond LatAm, or to pursue markets by Spanish or Portuguese language, for example. Villela gives the example of Pixeon Medical System as a company that pursued the regional model for good reason. This Florianapolis, Brazil healthcare imaging and workflow software company reached out to hospitals and clinics in Argentina, Uruguay and Chile after its native country because of the market opportunities afforded there. “If we compare technology adoption in Latin America to the US or Europe, most of the hospitals run their businesses off a spreadsheet and there are very few integrated approaches,” Villela says. Villela cites Peixe Urbano, a Brazilian Groupon-like site, as being in the first category, for example, and he sees Intel Capital’s role in helping these companies ‘internationalise’ their offerings, networking and providing guidance on corporate governance and good practices across the portfolio. But the sheer scale of the Brazilian market gives it a magnetic attraction. As for winning over the world’s biggest mature market, Villela takes a pragmatic view. But surely the emergence of crossover hubs like Miami and the efforts of groups like Endeavor and The Technology Foundation of the Americas to connect the continents gives companies a shot at cracking the US? Villela describes Intel Capital as “stage-agnostic” but adds that 90% of investments in the region are in companies that have “passed the first stage” and have proven business models, customers, products and revenues of at least $4-5m. But the picture has changed dramatically in recent years. So much so, indeed, that big VCs like Silver Lake and Accel Partners have started to carefully inspect the Brazilian market and in many cases they have decided to set up a local presence. Overall, Villela is bullish about Brazil and Latin America and the way that a growing middle class has grown opportunities for startups. He also notes that the Brazilian stock market is relatively small but he praises the work of the government in enabling the six-year-old Bovespa Mais alternative stock market for small- and mid-caps. Villela also expects significant money going into the region from private equity and the continuation of incubators and accelerators locally. Momentum in the market has seen Intel Capital fund a series of firms in hot areas such as Big Data, cloud and mobility, but Villela is wary of proclaiming a false dawn and he warns that Latin America “tends to be a little bit more volatile” than some parts of the world. But, lest he end on a negative note, Villela says he is “very positive” in general.